This post has been a long time coming. 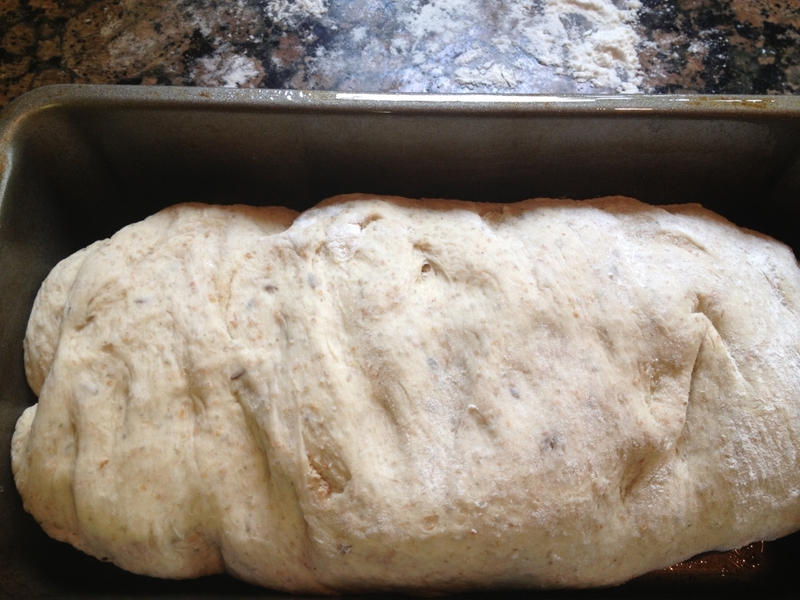 I have been baking this bread (an other kinds of bread, as well as making pizza dough) for over a year now. It always disappears before having a chance to go stale. Bread in general is not a staple in our house, but when we do eat it, we prefer a good quality loaf– not the squishy never-molding kind from the grocery store. In fact, bread, and food in general, was one of the biggest adjustments when I moved to the US 11 years ago. Growing up we used to buy bakery bread (and I mean real bakery, not a supermarket “bakery”) almost daily. Since I was 6 or 7 it was my job to walk to the “bread store” which was 10 minutes away to get a loaf of “grey” (similar to my rye) and half a loaf of “dark” (pumpernickel), my mom’s favorite. 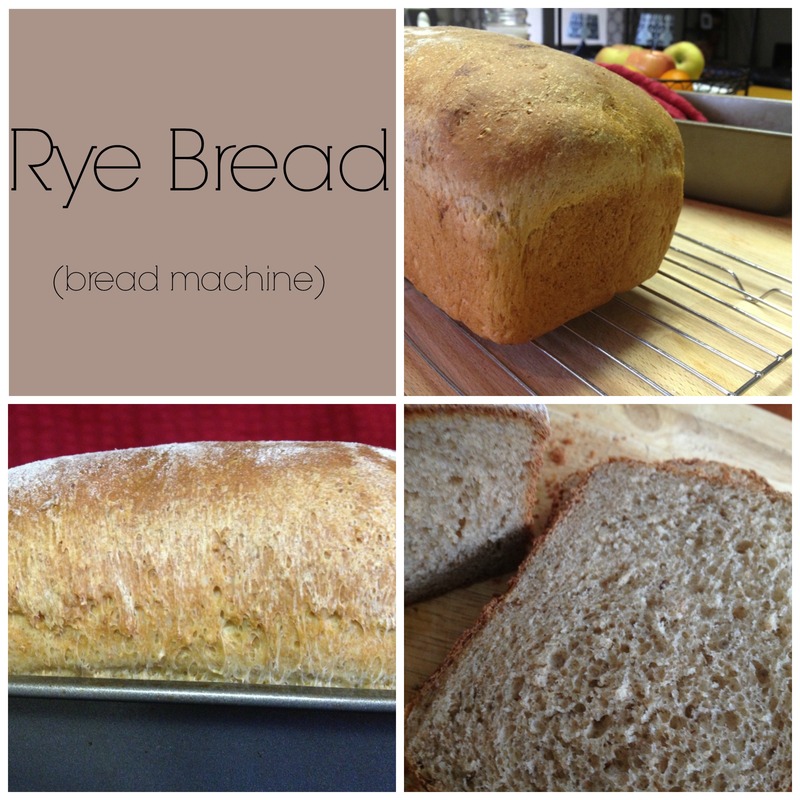 Myth: Bread machines are expensive. Fact: There are different price levels of bread machines from $25 and up to over $200. Mine is from a Goodwill (pictured below), they always have several to choose from in new or almost new condition (tells you how many home cooks never got around to appreciate this gadget). I paid whopping $9 for it. Goodwill has a 48 hour return policy on appliances, by the way. My bread machine came without a manual but it is easy to find online. Myth: It takes a lot of space and is cumbersome to manipulate. Fact: My bread machine is pretty compact and takes very little space on the floor in the pantry. It is lightweight, especially compared to my KitchenAid mixer, so there is no problem taking it out for use and putting it away. Myth: It is a pain to clean. Fact: The clean up is actually easier than with traditional method of baking because the bowl of the bread machine has a non-stick coating. All that is needed is a quick rinse with cold water. Plus there are no additional utensils to wash since the machine does all the work for you. Myth: It is too involved and confusing. Fact: Some recipes are more straightforward than others, but it all comes down to loading a handful of ingredients and taking out a baked loaf, or, alternatively, taking out mixed dough and baking it in the oven in a loaf pan (my preference). It may take a couple of tries for you to get a hang of it– anything worth doing comes with a learning curve, doesn’t it? Seeing, and facilitating, a transformation of a few simple ingredients into a freshly baked bread is so much fun, even therapeutic. 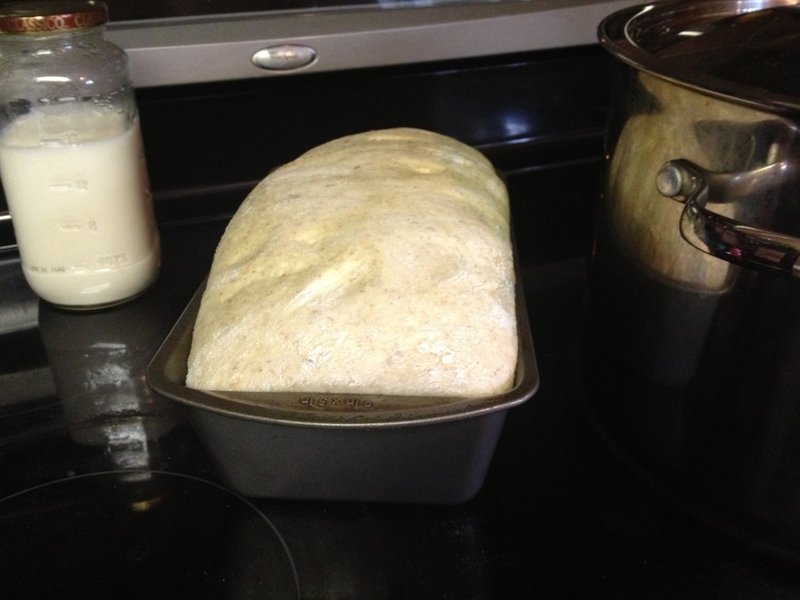 Every time I take a loaf out of the oven I wonder how it is possible. Magic! (Not really–just a few chemical reactions). Internet is full of resources on using bread machines, no need for me to reinvent the wheel. I recommend checking out this and this one. 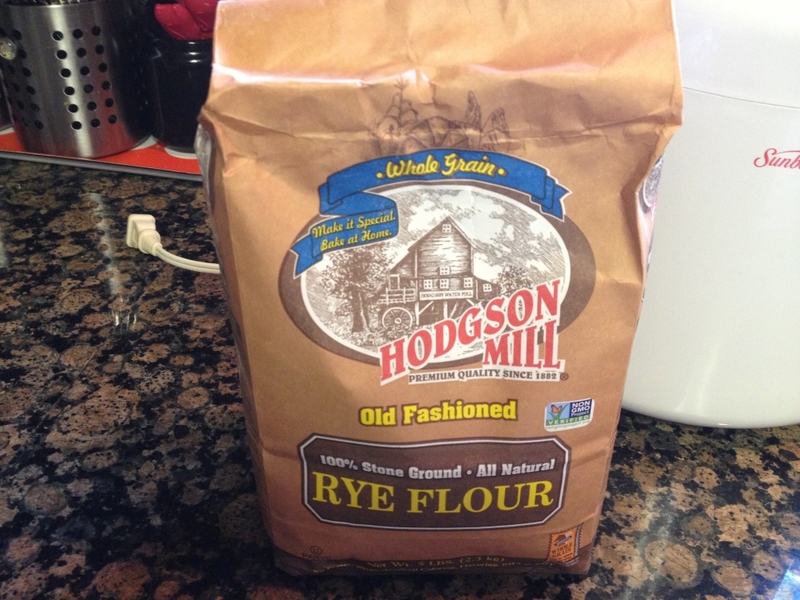 * I buy Hodgson Mill brand Rye flour at my local grocery store because it is cheaper than Bob’s Red Mill. Quality wise they both work. You can use whichever brand you can find where you live/online. * You want to buy your yeast in bulk (Costco!) and store it in the refrigerator or freezer. Small packets of yeast will break your budget, if you bake a lot of bread. * Powdered milk can be found in any grocery store where baking supplies are sold. 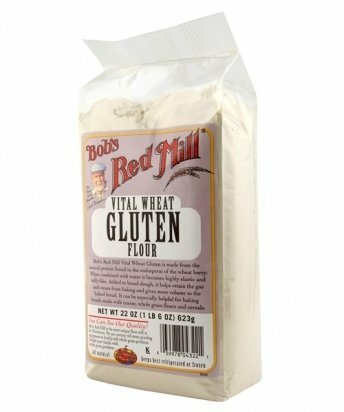 * Vital wheat gluten is “vital” to the structure of whole wheat/rye bread. If you leave it out, you will end up with a flat brick of a loaf. It is on the expensive side (around $8) but you only need a little at a time so it lasts. Make sure the mixing paddle is positioned properly in the bread machine bowl. Add the ingredients to the bowl of the bread machine in the order listed. Put the bowl in the machine and turn it on the “Dough” cycle, it should take an hour and a half to complete. 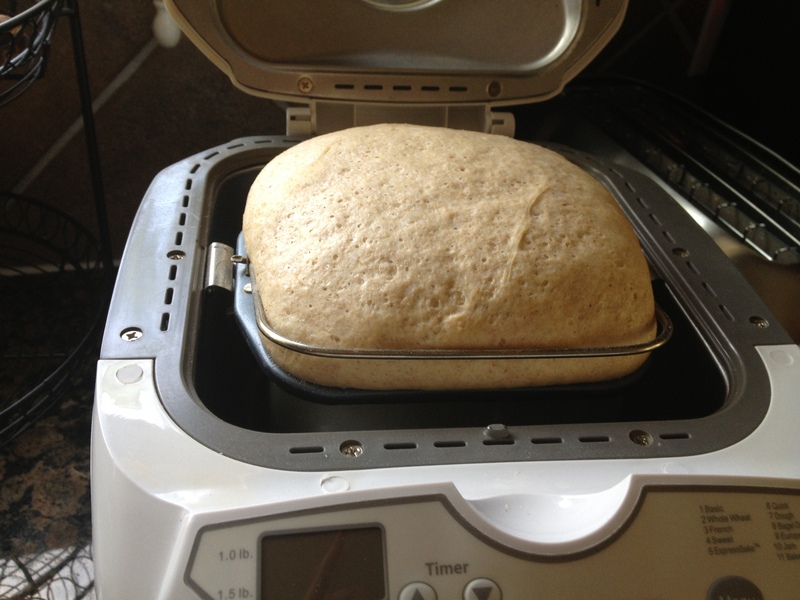 After the first five minutes open the lid of the bread machine and check the consistency of the dough. If it is too wet (not forming ball) add flour 1 T at a time. If it is too hard (banging on the sides of the bowl) add water 1 T at a time. 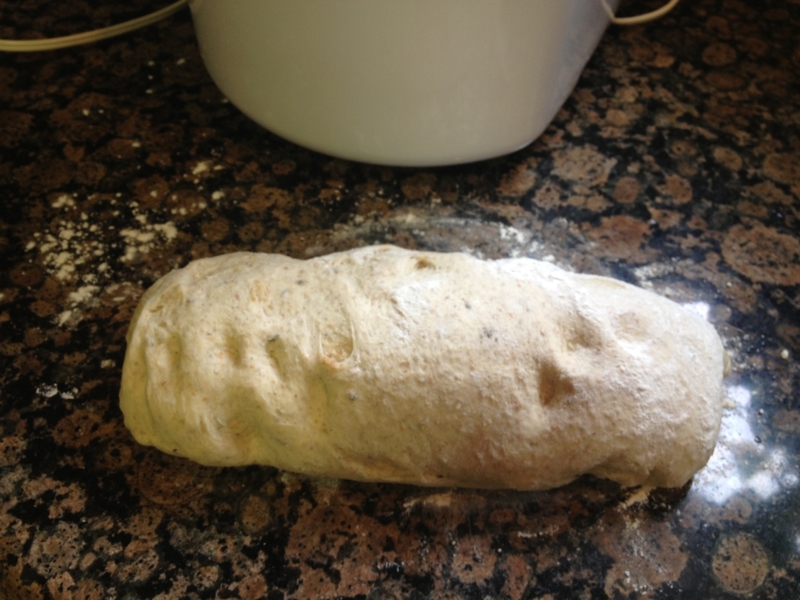 Let the dough mix for a couple minutes after each adjustment before adding more flour/water. With the proportions given, I rarely have to add either. When the dough cycle is complete, grease a loaf pan (I use PAM). 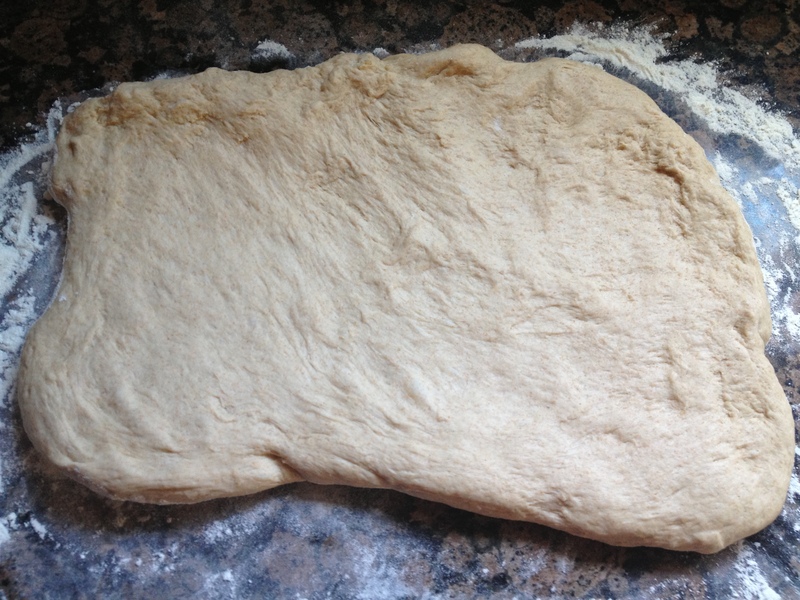 Dump the dough on a floured surface and roll/pat it in a rectangle about the length of the loaf pan. Roll the dough as you would with cinnamon rolls and transfer to the loaf pan, putting it seem down, tucking the ends underneath. Cover loosely with a clean kitchen towel or plastic wrap. 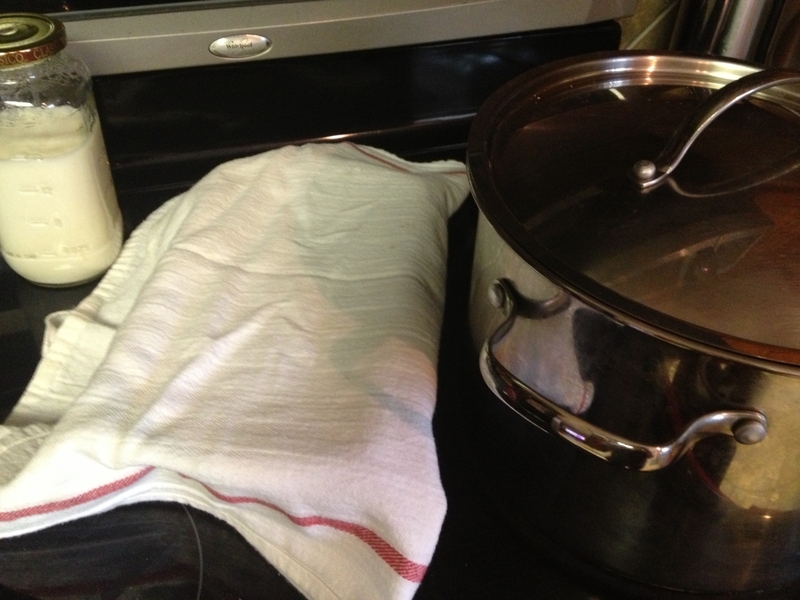 Put in a warm place for 20-30 minutes (I put it on top of the stove while it is preheating). Preheat the oven to 350 F. Once your loaf has risen about 1/2 of an inch to 3/4 of an inch above the top edge of the loaf pan, it is ready to go in the oven. Bake for 40-50 minutes (ovens vary, mine is done in 45 minutes). 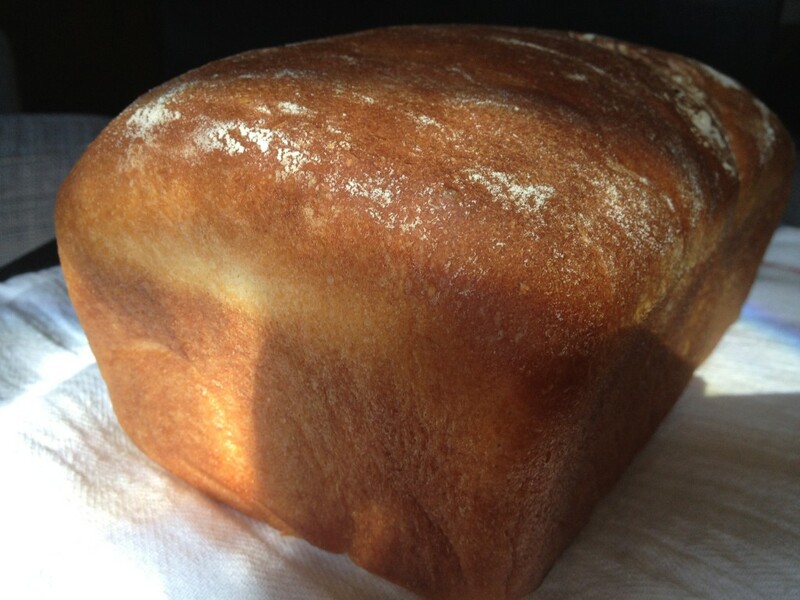 When the bread is done, the crust is deep golden brown and there is a hollow sound when you tap on the crust. Immediately remove the loaf to a cooling rack to prevent it from becoming soggy. Let cool completely before slicing. Note on slicing: since this bread has no preservatives it will dry out fast. It is best to slice a few slices at a time, and keep the rest in an air-tight container. The leftover dried out bread (which rarely happens in my house) can be used to make bread crumbs. I hope you give it a try. Let me know how it comes out! Disclaimer: I was not compensated for any products mentioned in the post. 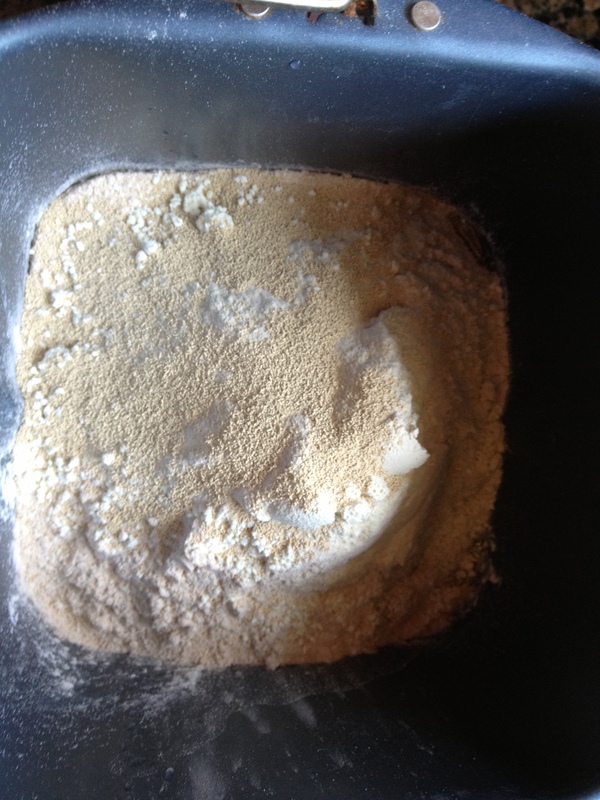 i have never baked with yeast- I usually run the other way when I see it in a recipe. You have, however, got me thinking that maybe I can actually do this! Of course, I’d need a bread machine! Are the caraway seeds a must? The caraway seeds can be left out, Alena. In fact, I forgot to use them a few times in the past. But they really do add a lot to the flavor, especially in combination with the onion powder.